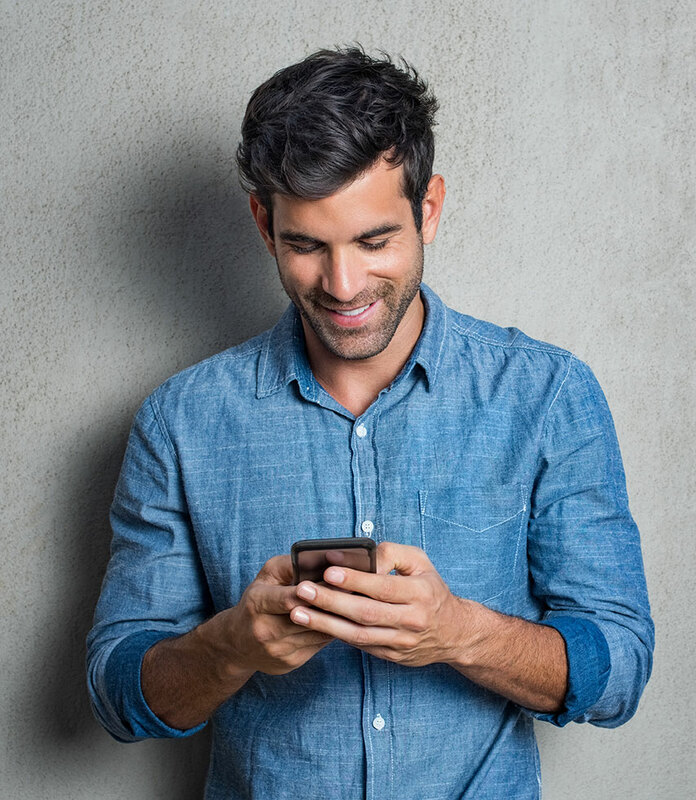 TextBoom provides you with your own keyword on a shared shortcode that you can use to build a text message marketing list of opted in subscribers. Our platform allows you to send those subscribers alerts, promotions, reminders, event updates, and more, at anytime - All via text message. You may be asking yourself what shortcode or keyword means and you're not alone. Here is a simple breakdown: A keyword is simply a word that acts an identifier and "trigger" in our system for your business. For instance, Joe's Pizzeria may choose the keyword JOES. A shortcode is simply a 5 or 6 digit number to which your customers will send a text message with YOUR keyword, i.e. "JOES to 25456", in order to join your list. When our system receives your keyword in a message, it triggers a campaign associated with your business and subscribes the customer to your list. Now that you have a keyword and shortcode, start telling everyone! Post it on social media, include it in emails, print it on receipts, put it on your website, incorporate it into print ads, anything! You will soon see your list growing. It's simple to send a message, anytime, 24hrs/day. Any customer that has subscribed will receive your message, or once you are a TextBoom customer, you can even upload your existing list. The results that text messaging yields is astounding. With engagement rates at 98%, no other marketing method comes close to texting's return on investment. 1. Does TextBoom have a contract? TextBoom accounts are on a month to month basis with 30 days notice of cancellation required. 2. What packages does TextBoom offer? View complete package details here. 3. Can I upgrade or downgrade? You can change your TextBoom package at anytime and the remainder of that month will be prorated. 4. When is the billing date? TextBoom accounts are billed the first time after choosing a plan, then on the same day of each month. "Short Message Service" refers to a text message. SMS has a 160 character limit on messages. A 5-6 digit code to which users send their messages to trigger text message campaigns. The word that your customers use to opt in to your text list by sending it in a message to a shortcode. Autoresponders (or AR) decide how to respond to users after a keyword message has been received through the shortcode. "Multimedia Messaging Service" is similar to SMS, but has character limit and can include multimedia files. Short URLs, which are shortened links that point to a long web address, are common with text messaging as they use far less characters in your message. A call to action refers to how you are prompting your customers to opt in to your text messaging list. This may be "Text KEYWORD to 25456" or "Complete the form below to join our text list" on your website. to ensure you receive our Welcome email and "How-To" series over the next few days while getting started. We will send you a guided walkthrough of our platform over the next 5 days of your trial, but if at any point you wish to not receive them, simply reply STOP. Access your TextBoom dashboard & send broadcasts, right from your phone!